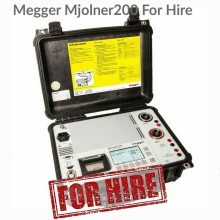 Includes: Megger MOM 200A, Cable set GA-02053, Ground cable GA-00200 and Transport case GD-00010. 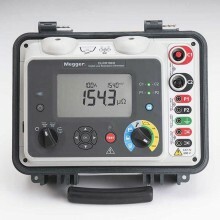 The Megger MOM200A is designed to check and measure contact resistances in highvoltage circuit breakers, disconnecting switches (isolators) and busbar joints. 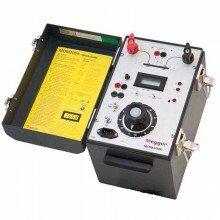 This unit is an excellent choice when 200 amperes or less are needed for measurement. 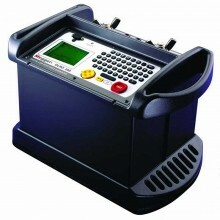 The MOM200A is ideal for finding poor connections since it can put out 100A for extended periods. 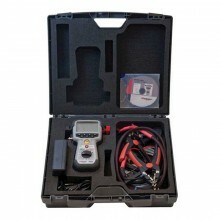 Its range extending up to 20 milliohms makes it ideal for measuring many different types of connections. 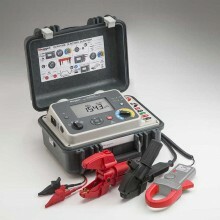 Measures contact resistance in circuit breakers, disconnecting switches, busbar connections, safety devices, etc. 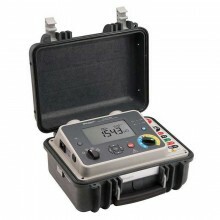 Portable and lightweight, weighs only 14 kg (31 lbs). 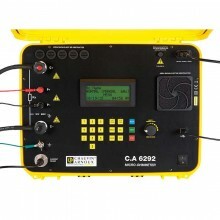 Specifications are avalid at nominal input voltage and an ambient temperature of +25°C (77°F). Specifications are subject to change without notice. 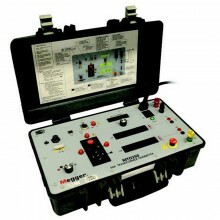 Application Field Intended for use in high voltage substations and industrial environments. 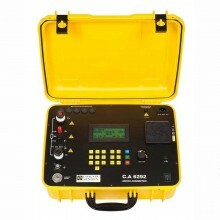 Operating Temperature 0 to 50°C (32 to +122°F). 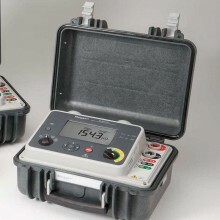 Storage and Transport Temperature -40 to +70°C (-40 to +158°F). Humidity 5 to 95% RH, non-condensing. 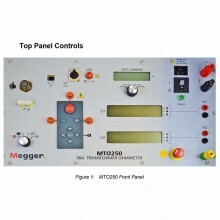 Mains Voltage 230 V AC, 50/60Hz (optional 115V version available). Power Consumption 1610 VA (max). Protection Miniature circuit breakers, thermal cutouts. 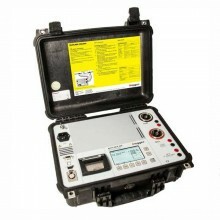 Instrument Dimensions 280 x 178 x 246 mm (11 x 7 x 9.7 inches). Transport Case Dimensions 560 x 260 x 360 mm (22 x 10.2 x 14.2 inches). 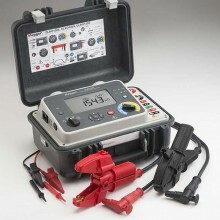 26 kg (54.1lbs) with accessories and transport case. Current Cables 2 x 5 m (16ft), 25 mm². 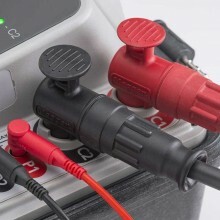 Sensing Cables 2 x 5 m (16ft), 2.5 mm². Inaccuracy ±1% of reading + 1 digit. 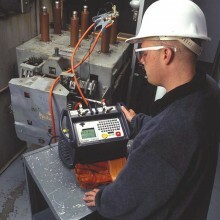 Current 0 to 200 A. 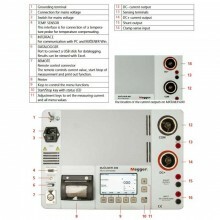 Open Circuit Voltage 4.7 V DC. 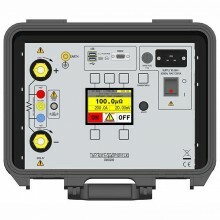 Current Shunt Output 10 mV/100 A ±0.5%, max 20 mV out, max 10 V to protective earth (ground). Minimimum Output Voltage 3.8 V DC. Max Load Time 5 min or 15 min. Rest Time 15 min or 60 min. 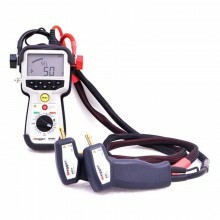 Minimum Output Voltage 3.0 V DC. Max Load Time 20 seconds. 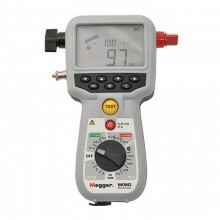 PDF Specifications of the Megger MOM200A Micro-ohmmeter. Cable set 10m 2 x 10 m (33 ft), 35 mm2 (current cables). Cable set 15m 2 x 15 m (49 ft), 50 mm2 (current cables).